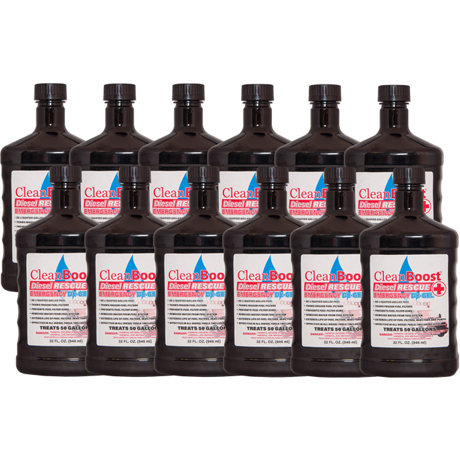 CleanBoost Diesel Rescue Emergency (32 oz) - ON SALE! Get a 12 pack of 32 oz bottles of CleanBoost Diesel Rescue emergency de-gel fuel treatment / additive by Combustion Technologies that thaws diesel systems that have become gelled. Diesel Rescue liquifies fuels to get your engine running again instantly. Effective in all diesel fuels, ULSD, and Bio-Fuels.